Unprecedented Historic Widespread Flooding Continues In Houston Tonight! 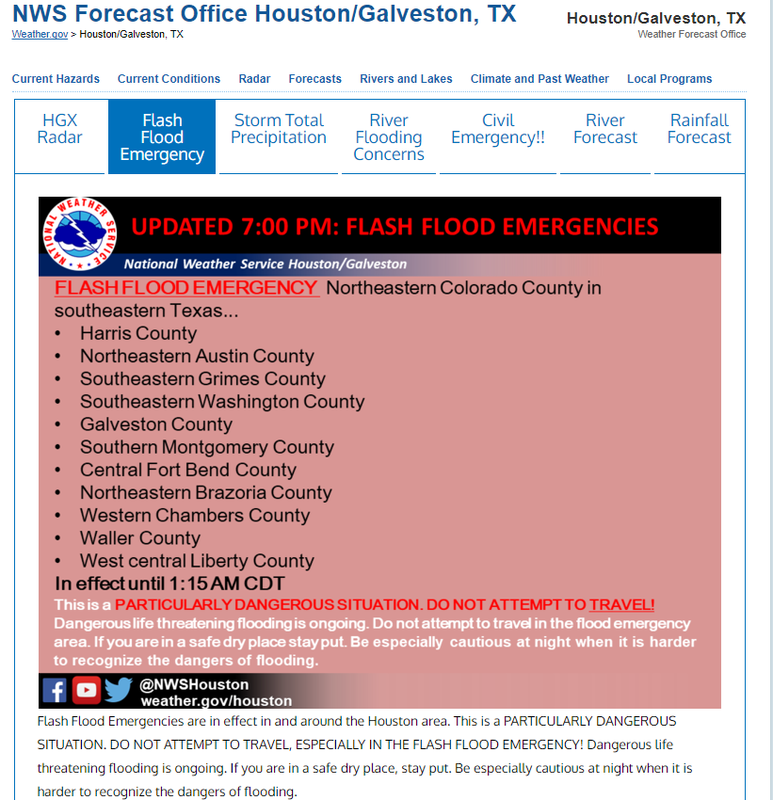 FLASH FLOOD EMERGENCIES FOR HOUSTON, TX! NWS Houston/Galveston Doppler Radar Snapshot At 8:42 CDT. 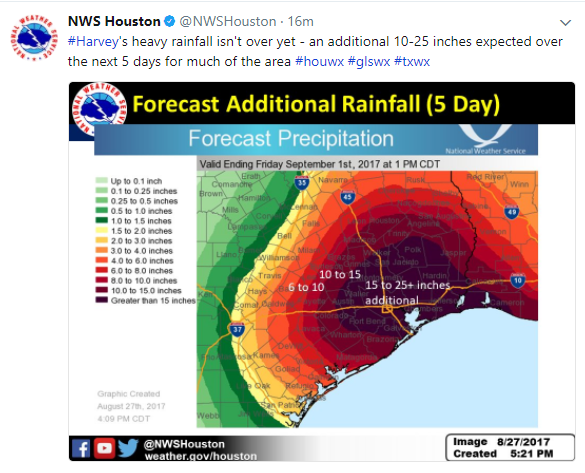 Another 5 to 10 Inches Of Rain Before Midnight! 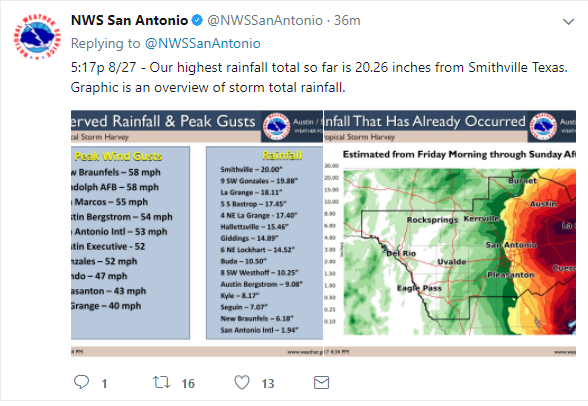 NWS San Antonio/Austin On Twitter. NOAA's Weather Prediction Center (WPC) Statement. 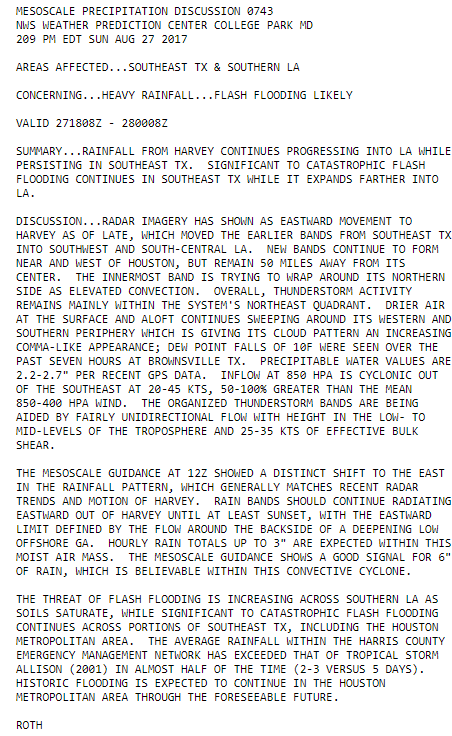 (Issued At 2:09 PM CDT This Afternoon). Hard To Image It Will Get Worse But It Will! 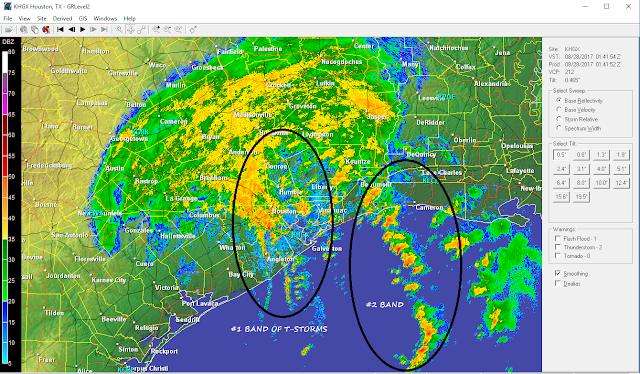 Two different "bands" of thunderstorms are developing over southeast Texas now. 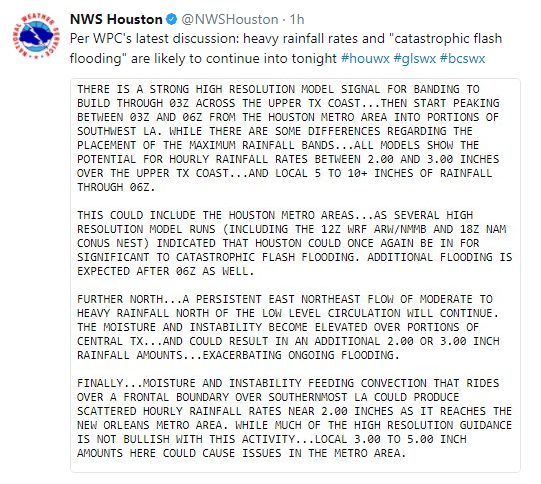 One basically east of Houston and the other "band" on the west side of the city.Between now and about midnight another 5 to 10 inches of rain is possible in the Houston Metro area! 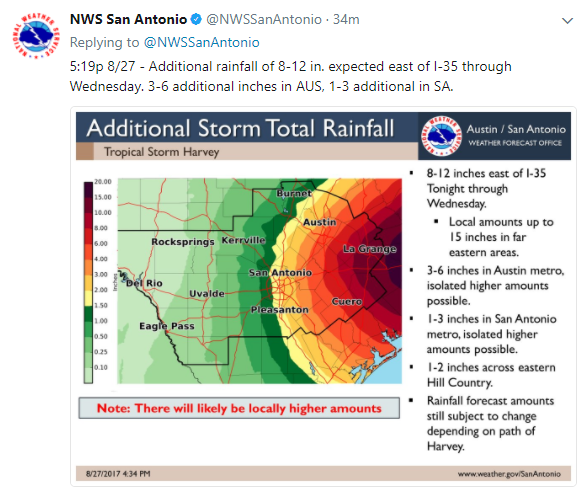 This on top of the 30" that has already fallen last night and today!Additional Flash Flooding and Flooding is forecast to continue past midnight into Monday and Tuesday. Some of which may be Catastrophic and Life-Threatening. Today was bad in the Houston area but tonight has the potential to be much worse!Feel free to share this post with your friends, loved ones, and relatives especially if they live in the affected areas!